Left of Center: Is Charlottesville Media Doomed? 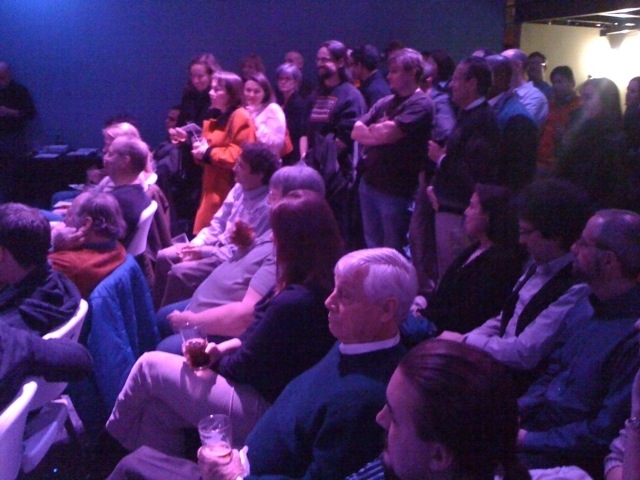 That topic was the subject of a Left of Center forum jointly sponsored with cvillenews.com. The event is moderated by site founder Waldo Jaquith. University of Virginia media studies professor Bruce Williams began with a historical overview of how changing “media regimes” in the U.S. have impacted political communication and civil society, and how the recent ‘broadcast era’ may have been an anomaly in the larger sweep of American history. Then the event continues with a panel discussion with Charlottesville Tomorrow’s Sean Tubbs, Daily Progress assistant city editor Josh Barney, and Hook editor Hawes Spencer, with moderator Waldo Jaquith, editor of cvillenews.com and Left of Center steering committee member.